SHOPPING - It's more fun in the Philippines. 21st NRCE on August 9-10. SHOPPING. 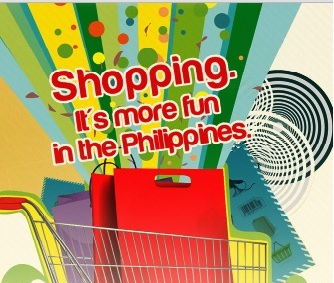 It's more fun in the Philippines! Agree or disagree? Me? Well, I 100% agree! I don't know about you but I can attest that the shopping experience here in the Philippines is quite unique. From bangketas to tiangges; malls to boutiques - convenient shopping & bargain hunting is one of the reasons we all love to shop here right? But don't just take my word for it. The 21st National Retail Conference (NRCE) and Stores Asia Expo will be highlighting all about this during the conference. The NRCE's theme for 2012 is centered on "Taking Customer Experience to New Heights" which is mainly inspired by the government's latest tourism campaign "It's More Fun in the Philippines." The 21st NRCE will be on August 9-10 and will be held at Function Rooms 2 & 3, SMX Convention Center beside Mall of Asia in Pasay City. More than 800 retail owners, suppliers, CEO's and top level executives of various companies are expected to be in attendance to learn more on strategies for driving growth and customer engagement so that shopping will definitely become more fun in the Philippines. The conference will be having two panel discussions per day. Click to check out the conference program. One topic that really caught my interest was "Retail Entertainment: Creating a New Level of Customer Experience." For me, what causes me to buy a certain product is when I am able to touch, to see, to smell, or on some occasions to taste said product. As a consumer, this experience is a factor in decision making. So it would definitely be interesting to see how the retail industry would take us to this new level of customer experience. Hopefully this National Retail Conference will lead to more improvements in the retail sector. I'm looking forward to retailers and service providers responding well to the feedback from their consumers and customers. I've experienced bad service before and it is frustrating when the company doesn't respond to a complaint. Tie ups with social networks have helped improved it already and hopefully more retailers will pick up on that. Anyway, to understand this better the next best thing you can do is actually check it out yourself at The Stores Asia Expo. I'm sure there will be interesting things at the strategically placed booths of various retailers and service providers at the The Stores Asia Expo. Interested? Click to check out the Stores Asia Expo Booth Layout. PLDT Alpha Enterprise, SM Department Store, Hewlett Packard, Robinsons Malls, Araneta Center, Ayala Malls, Meralco, IBM Philippines, DHL Supply Chain Phils., Inc., Festival Supermall, Wilcon Depot, Celine, The Philippine Star, BusinessWorld, ABS CBN, Schutzen, Mobext, Inc., Crossover 105.1., Entrepreneur, Focalcast, Q Creatives, Cylix Technologies, Mediamagnet, Catalyst Media, Infinite Grafix, Travel Club, APL Logistics, Avolution, Live Media, Starmall and Bayantel. To avail of the Early Bird Rate, check payment should be SENT to the PRA office (Unit 2610 Jollibee Plaza, Emerald Ave., Pasig City) OR DEPOSITED to PRA Acct. : Banco de Oro – SM Mega B Branch. S/A No. 2800-373-09 ( pls. Fax Deposit Slip w/ your Company Name to PRA). We regret that we cannot pick up checks. PLS. make checks payable to PHILIPPINE RETAILERS ASSOCIATION INC.
1. Go to NRCE website and download the registration form which can be found here. 2. Fill up the registration form and complete payment procedures. 3. Fax the registration form and deposit slip with company name (if applicable) to PRA at 636-0825 or scan and email at ebbs@philretailers.com / ncm_philretailers@yahoo.com. For more information about the 21st NRCE visit http://www.nrceph.com. You may also contact the event organizers, the Philippine Retailers Association (PRA) at 687-4180/4181 or 687-4985 or 0919-6481231. Fax them at 636-0825. You may email them at info@philretailers.com or ebbs@philretailers.com.